It's a real-life bear hug! (SPOT.ph) Panda bears, or simply pandas, are some of the cutest animals in the world. 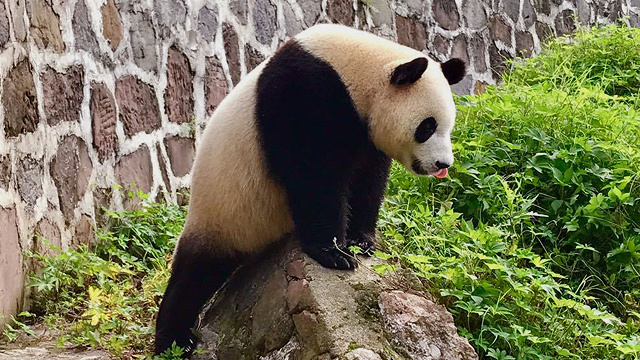 From stuffed toys to cartoon characters, emoticons, shirt designs, TV ads, and even in international diplomacy (in the case of China), pandas seem to carry an irresistible charm. Getting up close and personal with a panda isn’t easy, especially since they’re only found in a few selected zoos. The rest of them are either being raised in panda sanctuaries or roaming free in the bamboo forests of Sichuan Province in China. But there are certain places in China that allow volunteers to take care of the adorable black-and-white bear, and even cuddle with one. Plus, volunteer work and other conservation efforts have resulted in a 16% increase in their numbers. Anyone who is serious about becoming a volunteer must first accomplish a number of requirements. 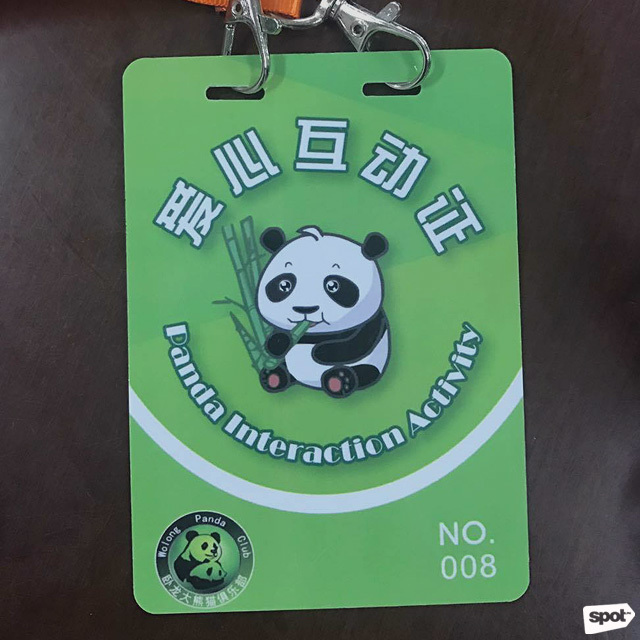 Aside from a tourist visa, you are also required to have a formal letter expressing your intent to become a volunteer and an official invitation from a panda sanctuary. 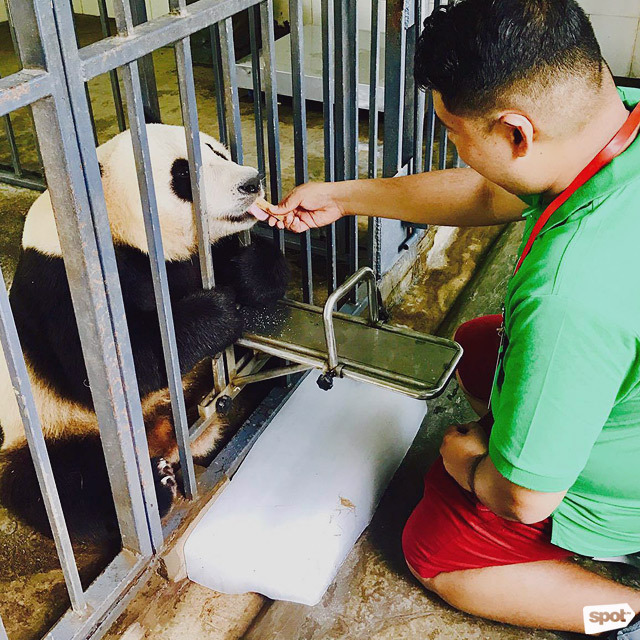 You can have this arranged through travel agencies that have direct contact with panda sanctuaries offering volunteer programs. 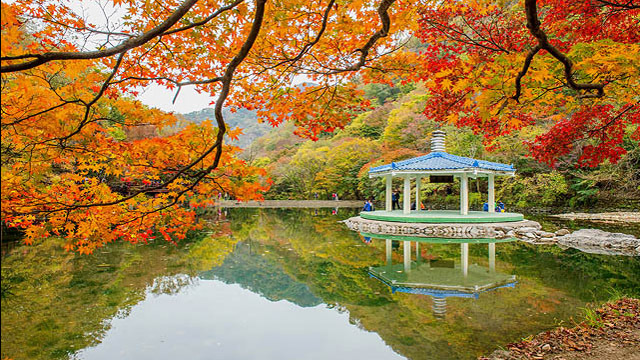 Some suggestions: Kim's World Travel, Access China Tours, and West China Adventure. 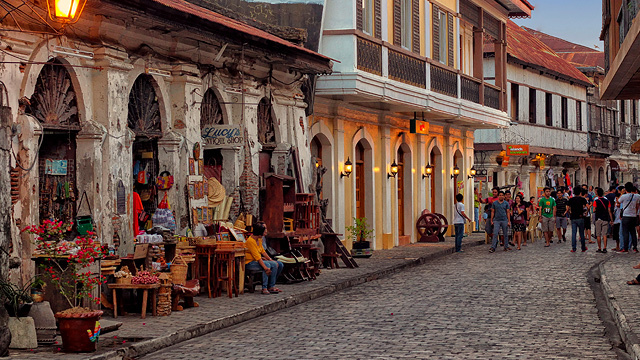 Travelers must also secure a medical certificate from their physician, stating that they are in excellent health and don't have any contagious diseases. 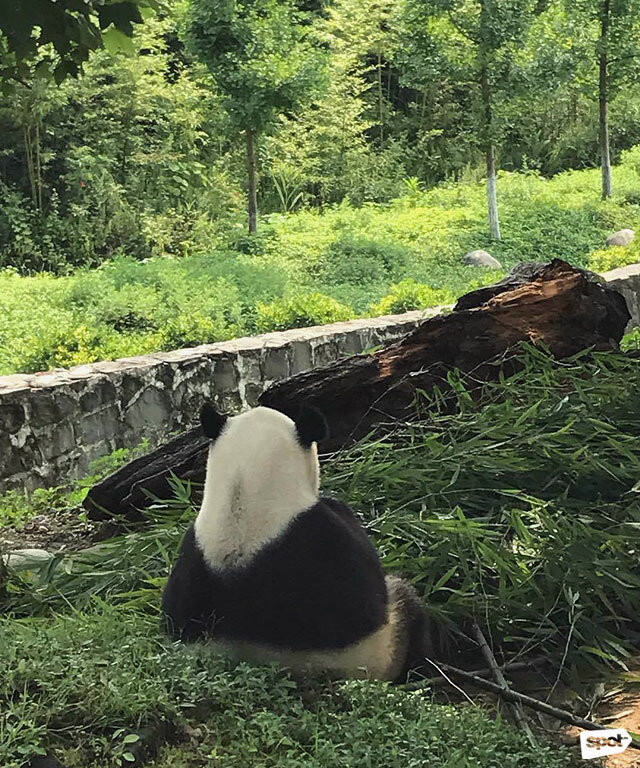 There are currently only three panda sanctuaries that allow volunteers. The most accessible is located in Dujiangyan, 1.5 hours away from Chengdu City, the capital of Sichuan Province. 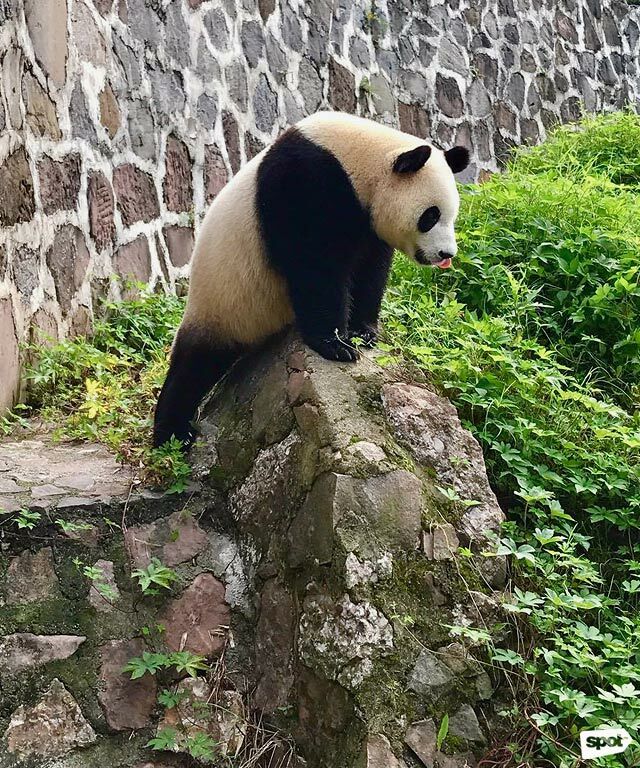 The Dujiangyan Panda Sanctuary Volunteer Program involves various tasks stretched over a 10-hour period. 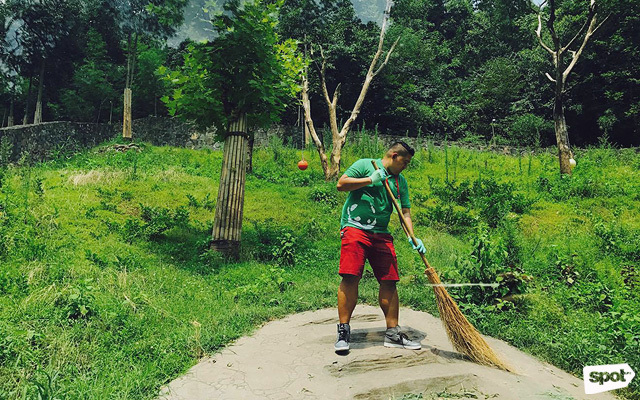 This includes cleaning the panda’s home, picking up their waste (by waste, we mean poop! ), and hand-feeding the bears—twice a day. Don’t worry about the mess because you'll be asked to wear a uniform and gloves. 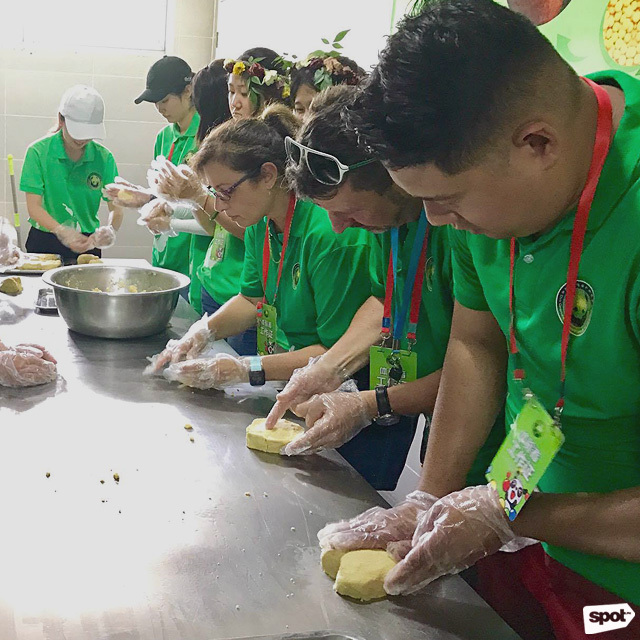 In the afternoon, volunteers watch a documentary about pandas, then make cakes out of rice, corn, soybean, and egg for the Giant Pandas to enjoy. 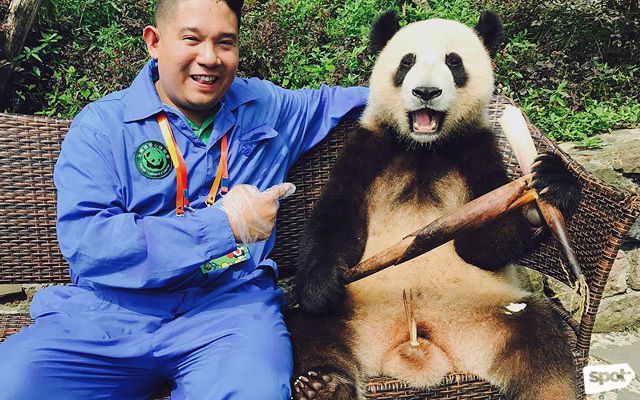 Every day at 11 a.m. 30 people—volunteers and tourists—get the chance to have a once-in-a-lifetime opportunity to hug, cuddle, and take pictures with a panda. Typically, you’re given priority if you’re a volunteer. A day of volunteer work will set you back U.S. $250, while hugging and photo sessions with a panda cost U.S. $285. These fees go to sustaining the sanctuary and protecting the pandas. Whether you’re spending the day as a panda keeper or simply hugging them for a little while, you’re doing the pandas a “bear-ry” big favor! Dujiangyan Panda Center is at Shiqiao (Stone Bridge) Village, Qingchengshan, Sichuan, China. For inquiries, send an e-mail to pandaeducatecenter@163.com.